This week we have a wide range of stories to pick from in China’s media, dealing with everything from dramatic falls from official grace to odd official appointments that expose the opacity of official appointment to begin with. 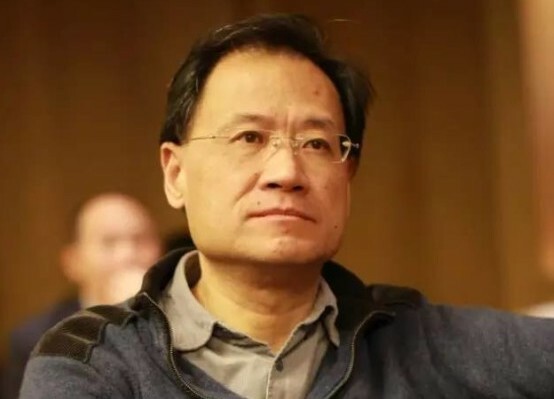 To start with, we have the sentencing of former cyber czar Lu Wei, a key architect of the reengineering of the internet controls (and media regulation) around the Cyberspace Administration of China, to 14 years in jail, quite a hefty sentence. Unsurprisingly, official reports say Lu has decided not to appeal the decision — as though he has any real decision-making power in the case. The sentence brings to an end the saga of one of the most flamboyant officials to make his way through the propaganda system in recent decades. In another sign of just how sensitive the political climate is in 2019, with its raft of historical anniversaries, we have news this week that law professor Xu Zhangrun was suspended from teaching and other duties at Tsinghua University after writing a series of critical articles over the past year warning against a return to Cultural Revolution-style thinking in China. Peking University law professor Zhang Qianfan (张千帆) responded to the storm surrounding Xu by saying that he felt the university leadership at Tsinghua were making this move, going after a “scholar of conscience” (良心学者), to protect themselves politically in a tense political climate. On March 21, the 2019 Media Oversight Work Conference (传媒监管工作会议) was held in Beijing. The meeting was chaired by Li Hongkui (李宏葵) the deputy head of the Media Oversight Office (传媒监管局) of the Central Propaganda Department (中宣部), and focussed discussion on planning for “media oversight work” in 2019. The meeting suggested that “publishing resource deployment policies” (出版资源配置政策) in 2019 should “suppress volume, control scale and raise quality” (压数量、控规模、提质量), all rather oblique references to the need to cool down publishing activities during the year and ensure published materials are in line with political objectives. In terms of news media oversight priorities for the year, the meeting emphasized the need to “strengthen the management of local offices of news units” and “tighten approvals and issuance of press cards” (严格新闻记者证审核发放), to “strengthen monitoring of illegal news and information” (加强新闻违法信息监测), and to “strengthen the monitoring and oversight of personnel and newspapers and magazines” (强化对报刊所办媒体及从业人员监督管理). Strengthening management of new media (新兴媒体) through “reform and innovation of oversight mechanisms” (改革创新监管机制) was also emphasized as a priority. Image from Baidu.com depicts the phenomenon of the “family with a lost only child,” a very serious social issue in China in the wake of the One Child Policy. Soon after the images made the rounds on the internet, media reported that the prefectural-level city of Xinzhou in Shanxi province had also entered “families that have lost an only child” on their list of targets in “sweep away black” campaigns. They shared an article from September 19, 2018, called “Carried Out Black Sweeps to Eliminate Chaos, Protecting the Normal Operation of Healthcare” (开展扫黑除恶治乱，维护正常医疗秩序) that had been posted to the WeChat public account of the central blood bank in Xinzhou, which mentioned “families that have lost an only child” on the list of priority targets. A commentary in The Beijing News suggested on March 28 that the “black sweep” lists issues by these local governments were highly inappropriate, and that they highlighted serious problems in the way some local governments deal as a matter of public policy with the psychological problems and the subsistence issues associated with the loss of children by Chinese families under the legacy of the One Child Policy. 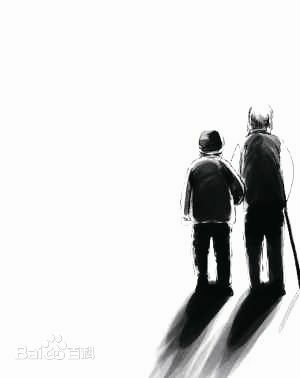 Many Chinese of around 50 years of age and older who have unexpectedly lost an only child face the prospect of having no one to look after them in old age, and many can suffer serious psychological trauma as a result of the loss. Another commentary in China Youth Daily argued that while preserving social stability is naturally a key priority for local governments, they must at the same time ensure standards of social justice (社会正义) and act in a humanitarian spirit (人道主义). On March 20, “Wei Ba Ling” (微巴陵), the official WeChat public account of the local propaganda office in the city of Yueyang in Hunan province, made a post announcing new appointments and terminations in which it revealed that Yu Xinya (喻新亚), the director of the Yueyang People’s Hospital, had been relieved of the post and promoted as Party secretary and director of Yueyang’s county-level television broadcaster. Responding to these questions online, the Yueyang county propaganda chief, Li Yuezheng (李月争), said that the appointment had been carried out according to the spirit of discussions with superior cadres (“按照上级干部交流的精神执行”) and that it met with requirements and was considered a normal move. Lu Wei (鲁炜), the former head of the powerful Cyberspace Administration of China (CAC), an agency whose role he helped to shape after its formation in 2014 under the Central Cyberspace Affairs Commission (中央网络安全和信息化领导小组), was sentenced today to 14 years in jail for bribery. 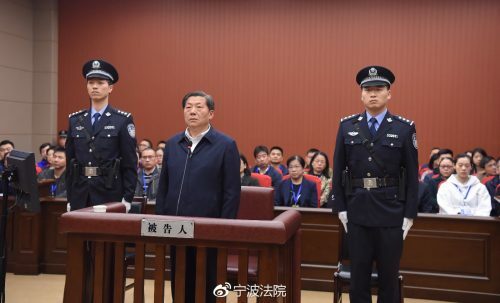 The sentence, which according to a brief official release from China News Agency, Lu Wei said in court that he would not appeal, marks an ignominious end to Lu’s long career as a propaganda official. The real factors and events behind Lu’s fall from grace remain unclear, but today’s news release suggested Lu had engaged in corruption through roughly 15 years in senior positions of power, from 2002 to 2017. The release said Lu had “used the convenience of his positions as a member of the Party Committee, and as secretary and deputy director at Xinhua News Agency, as a member of the Standing Committee of the Beijing Municipal Party Committee, as [Beijing’s] minister of propaganda, as Beijing deputy mayor, as director of the Cyberspace Administration of China and as director of the Office of the the Central Cyberspace Affairs Commission” to illegally exact around 32 million yuan in bribes. Photos from the courtroom were posted today through the official Weibo account of the Ningbo People’s Intermediate Court (宁波市中级人民法院). NextWas Singer Li Zhi Censored in Sichuan?